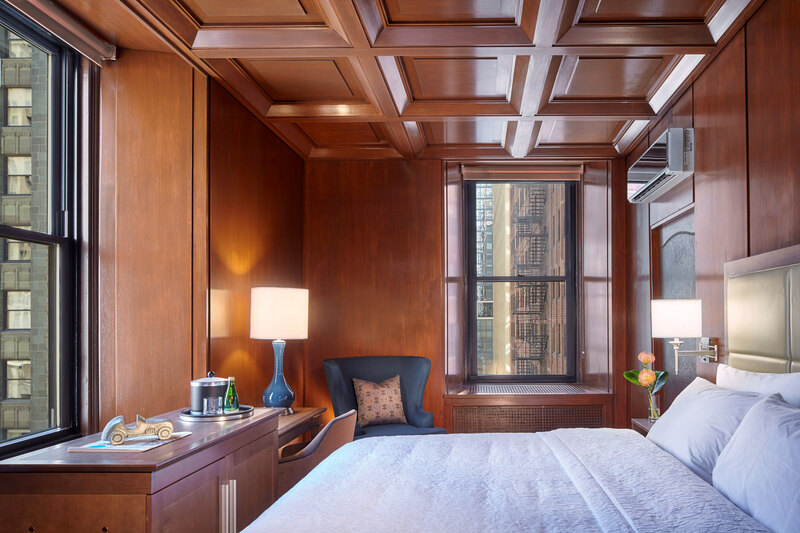 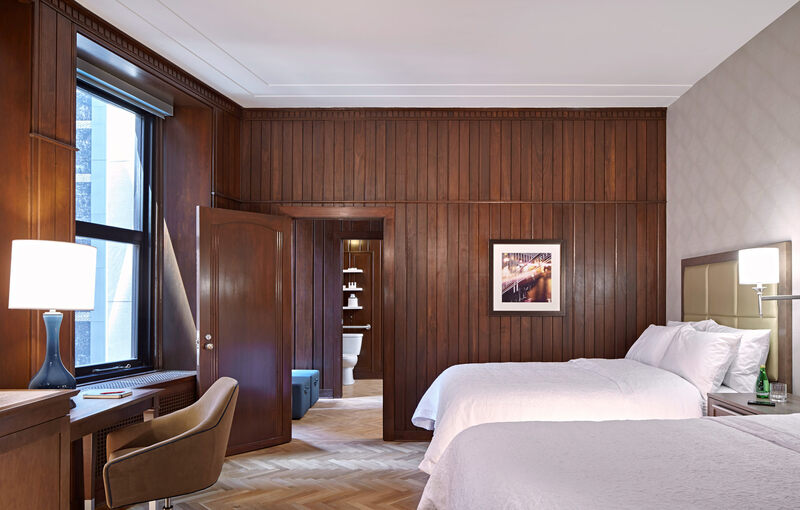 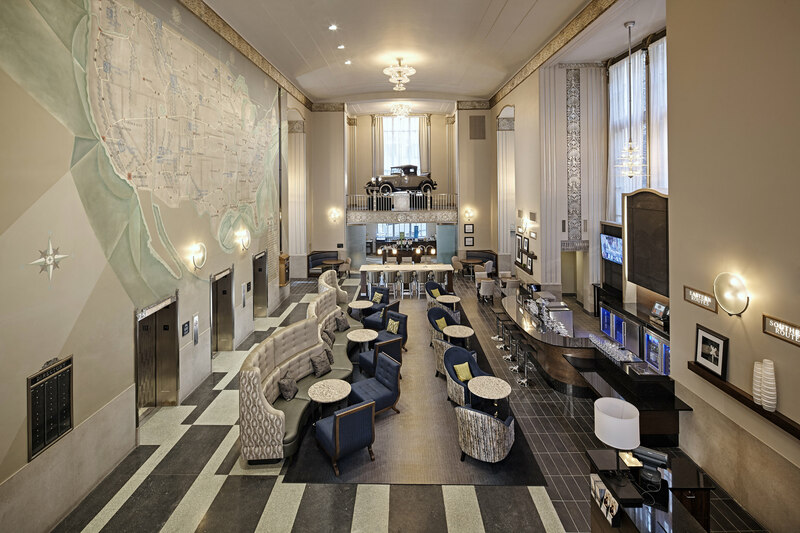 Considered one of Chicago’s finest Art Deco skyscrapers, the Chicago Motor Club building was transformed from office use into a select-service hotel. 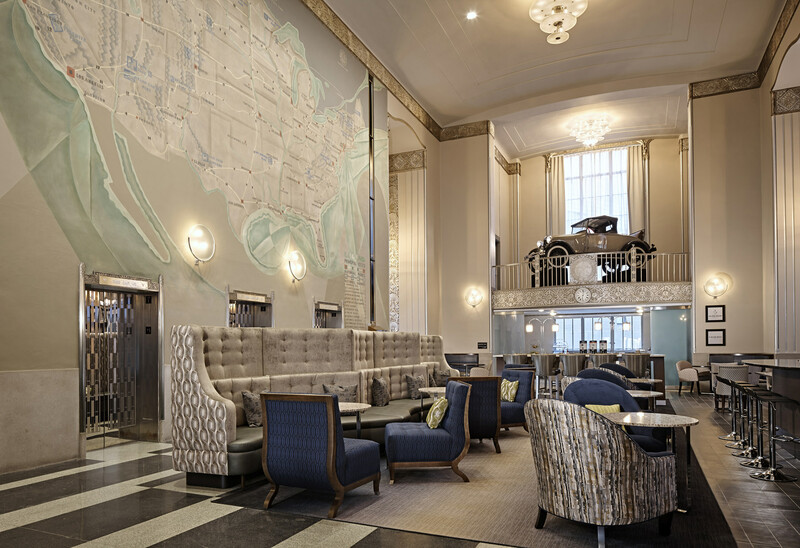 Designed by Holabird and Root in 1928, its three-story lobby features exquisite examples of silver-gilded Deco trim, period fixtures, and a 29-foot-wide mural of popular road destinations by artist John Warner Norton. 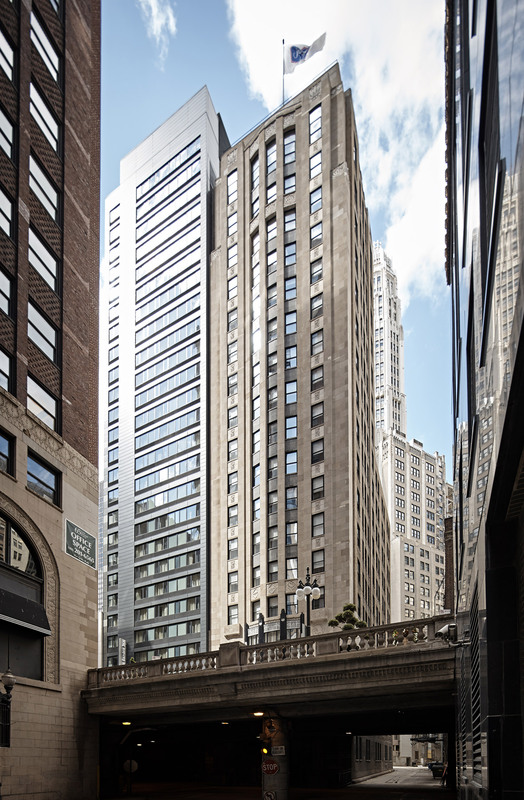 The building is a Chicago Landmark and listed on the National Register. 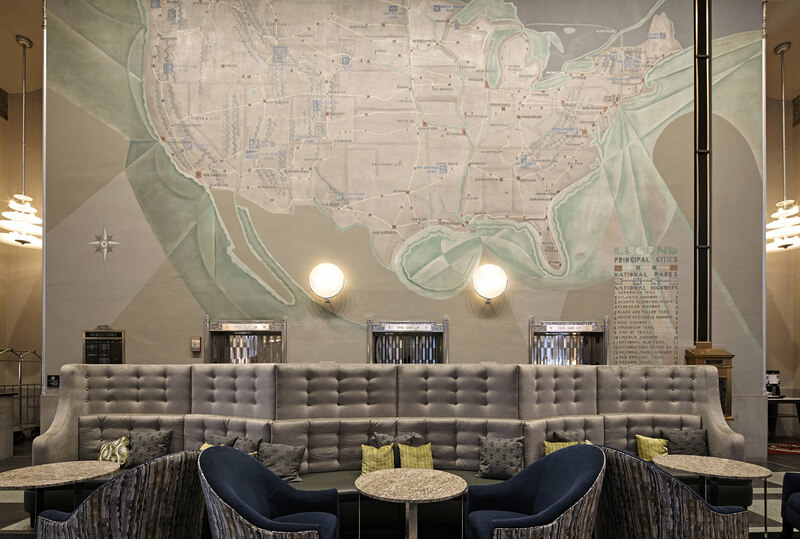 Branded as a Hampton Inn property, the hotel includes 143 keys and a restored Grand Lobby with seating and dining spaces. 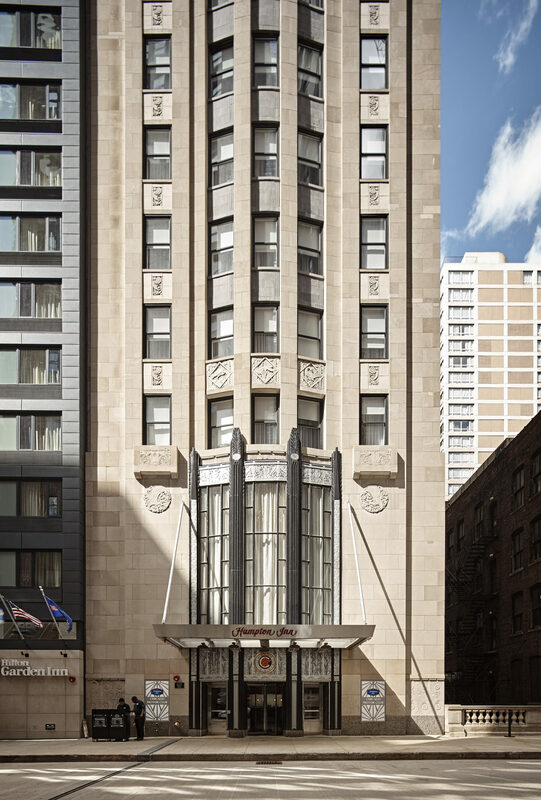 The exterior restoration required repairing and restoring the terra cotta, stone panels, stone facade, limestone balconettes.